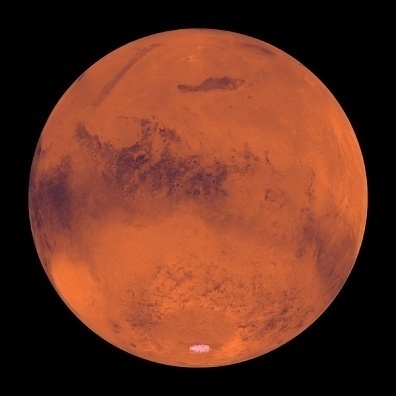 What was once only a dream has now become a reality as space travel is a regular activity in our society. With thousands of satellites in orbit, the Hubble Space Telescope that can see other galaxies, regular shuttle launches, and prototypes for vehicles that can fly in and out of the atmosphere, it makes sense that we have a permanent space station in orbit. To fully understand the concept of a space station, however, it is important that people learn how a space station works. In this article, we will explore the main components of the International Space Station, currently the only manned space station in orbit. The ISS, or International Space Station, is made up of 5 different space agencies (United States, Canada, Japan, Brazil, and the European Space Agency) that represent 16 different nations (United States, Canada, Japan, Brazil, United Kingdom, France, Germany, Belgium, Italy, the Netherlands, Denmark, Norway, Spain, Switzerland, Sweden, and Russia). The ISS serves primarily as a research laboratory though other uses have been obtained from it, the biggest being a permanent residence for astronauts in space. Despite over $100 billion and 15 years of construction invested into the ISS, there are currently plans to shut down the ISS in 2016 and let it fall into the Pacific Ocean. On Earth, most of our life support is provided by nature while the rest is engineered by the society that we have created. On the space station, however, the environment must be entirely manufactured by technology. The air is monitored by on-board computers while oxygen and nitrogen are stored in external containers. Water is recycled continuously and brought from Earth via space shuttle. 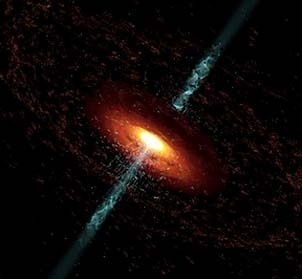 Wastes are either dumped into space or removed by space shuttle. Heat is generated by insulation as well as heater systems and air conditioners that all help to cool down the electrical equipment. Food is supplied regularly by both the United States and Russia who each support about 50% of the crew’s food supply. Finally, due to a fire that broke out on Russia’s previous space station, Mir, the International Space Station has been equipped with a built-in fire detection and suppression system that automatically puts out fires and filters out toxic gases. Due to atmospheric drag and solar flares, the space station needs to be periodically boosted back up to a proper altitude. Without this periodic boost, the space station would eventually fall back to Earth and crash. Thankfully, the space station has two rocket boosters that are capable of pushing it back up to a proper altitude. During this time, all activities on the space station cease operation and are only allowed to start up again when the space station is returned to a proper altitude. The space station stays in constant communication with Mission Control in Houston, Texas, via a 60-foot antenna in New Mexico. Other countries have similar communication systems throughout the world in order to ensure contact with their crewmembers. When an astronaut aboard the space station ventures outside to make repairs to the space station or conduct experiments, the astronaut is constantly talking to both Mission Control as well as the rest of his/her crew via microphone and a built-in intercom system aboard the space station. Power on the space station is provided by extremely large solar panels that are built around the craft. These solar panels are built on a swivel-device that is capable of adjusting the solar panels to make sure that they are always pointing in the direction of the Sun. During downtime, when the space station passes through a dark shadow created by the Earth, large batteries that are constantly charged by the solar panels are used to keep the power going. 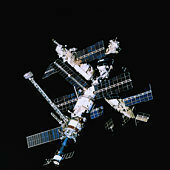 Mir, the world’s first space station, was constructed by the Soviet Union in 1986 and destroyed in 2001. Mir was capable of supporting a permanent 3-man crew as well as visiting astronauts. Mir holds the record for the longest permanent residence in space, being occupied consistently for nearly ten years. Before the ISS, Mir was the international space station, being host to multiple astronauts from the United States, Europe, Asia, and the Far East. Mir was also visited in 1990 by a Japanese journalist named Toyohiro Akiyama, giving way to the creation of space tourism. Skylab was the United States’ first and only space station and was launched in 1973. While Skylab was not the first space station in orbit, it did receive much support from the United States government as well as popularity around the world. Skylab was initially damaged upon launch and wasn’t repaired until 10 days later when the Skylab’s first crew was dispatched to make repairs and cool off the internal equipment that had been heated due to the shield being damaged. That crew, along with later crews, spent a combined 112 days in space. This lengthy residence in space, combined with the technologies and experiences gathered there, is what eventually led to the concept and construction of the International Space Station. how the universal was produced? 113 queries in 0.309 seconds.